Momma of the year!!!!!! ;) and yeah I'm pretty sure id do anything if you promised me Chickfila after haha! Sweetest photo!! I hope they continue to sleep better! Heaven knows you need all the sleep you can get until that babe comes! ahhh sleep, who needs it?! haha jk! so glad you finally got some shut eye! You're a rockstar!! ;) glad you finally got some rest! Now I plan my naps right when I wake up. They'll learn one day!! I would sleep through the night with the promise of a Chick-fil-a cookie too. Isn't it funny how kids like to make sure we are on our toes??? 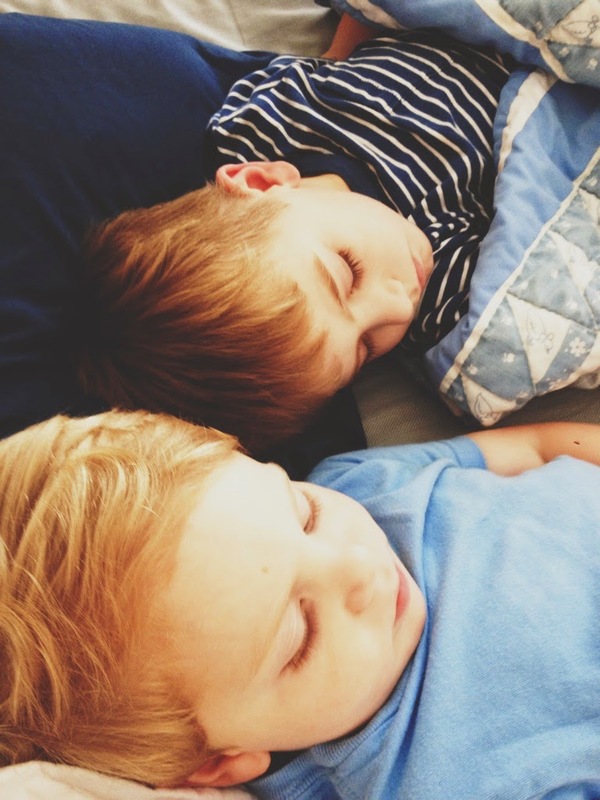 A good night sleep is so key, especially for this mama…who gets mighty cranky;) LOVING that sweet picture, sleeping kids make lief better, and make us miss them when they are sleeping, right?